Are You A Tech-Savvy Real Estate Agent? In the past decade, the speed at which technology has grown has left some real estate agents reeling. Meanwhile, others have done their best to keep up with the changing trends and technology, successfully utilizing them to their advantage. So, does it pay to be a tech-savvy real estate agent? What Is a Tech-Savvy Real Estate Agent? A tech-savvy real estate agent is someone who is well-informed about modern technology and demonstrates sufficient proficiency in using said technologies. Right now, that means a real estate agent who can successfully perform everyday tasks on a laptop, a smartphone, or a tablet without consulting the instruction manual. Moreover, a tech-savvy real estate agent is someone who knows about different social media platforms and how they work. They also understand or are able to understand how certain applications function. In an age where people turn to search engines and social networks for all their needs—whether it’s the latest in current events or directions to the nearest gas station—how imperative is it to be tech-savvy? As a real estate agent, do you now need this skill to survive? Practically every industry has gone online. Even brands that started out in traditional brick-and-mortar establishments now have official websites. Online marketing is mandatory for businesses that want to succeed, for the simple reason that it works. Every time people need something, the Internet is the first place they look. This includes property listings. 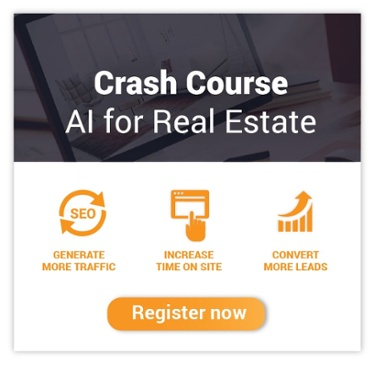 As a tech-savvy agent, you can utilize online marketing techniques to connect with your audience. Through your digital presence, you cater to and successfully entertain the percentage of your market that depends on online listings. Arguably one of the best things about technology is the power to automate. There are a few thousand applications out there that can easily execute day-to-day administrative tasks for you, such as replying to emails and managing appointments. So many businesses depend on apps for communication, project management, and organization. Imagine how much more you could get done if you no longer had to worry about replying to non-urgent emails, updating your contacts, or managing your calendar. Due to optimized productivity, tech-savvy agents are able to maximize their output. The Blog Millionaire podcast host Brandon Gaille referenced a survey run by Inman News regarding the relationship between the technological prowess and average earnings of real estate agents. Of the 1,368 agents polled, 26.2% earned more than $100,000 (high-income earners). Meanwhile, 21.3% of the total respondents earned average revenues of $50,000 to $100,000 (middle-income earners). According to the results, 50% of the high-income earners updated their site at least “a few times a week,” whereas 39% of agents who earned $50,000 and below admitted that they only updated their page once a month. Furthermore, 82% of agents who earned upwards of $100,000 reported that they had a YouTube account. 84% of the same group also reported owning a Twitter account. It’s not an exact science, but there definitely seems to be a positive relationship between an agent’s online presence and their earnings. The results of the survey support the idea that consistent website updates and active social media accounts work in favor of agents in terms of finding new clients and closing sales. If you don’t fit the definition of a tech-savvy real estate agent, don’t worry; it’s never too late to learn. The beauty of today’s technology is that it’s designed to be as user-friendly as possible. Watch how-to videos online or enlist the aid of close friends and family to guide you through it. You don’t need to be a tech expert to successfully reap the benefits of technology, but you should at least know how to use the technology to your advantage.